Its an old property but well updated and very comfortable. Persons in charge thru the day and night were very helpful from simple amenities to even on how to go around the area. I used this as a launching pad for helping my daughter move into her freshman dorms at UCLA - perfect location, reasonable prices (compared to nearby big hotels), and very easy to get to the university and also to hop on to the I-405. Nice, friendly service, with adequate continental breakfast. right in westwood plaza, very clean hotel. the room was clean and cozy, and breakfast was very nice. 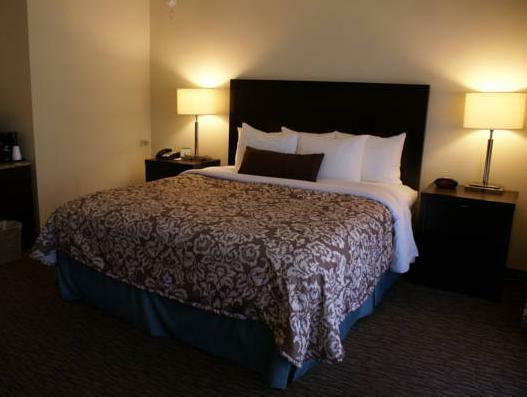 Compared to other hotels in the Westwood area, it is a nice place at a reasonable price. This is my second time staying at the Royal Palace Westwood Hotel. The experience is great overall! From the outside, the hotel seems old and antique. However, inside the room, the high quality is on par with some Hilton hotels. The bathroom is brand new and the room, in general, is super clean. The staff is friendly and courteous. The only downside is breakfast starts at 7 am instead of 6 am. 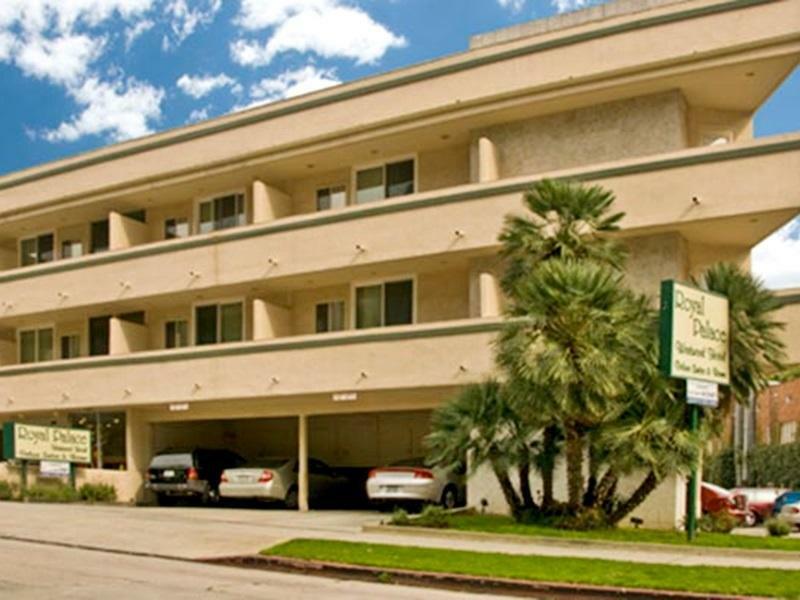 Convenient 5 min walk to campus and 10 min walk to medical center. Free parking although the spots are tight for larger vehicles. Rooms have microwaves and mini fridge. Free WiFi and continental breakfast. Rooms are clean and bathrooms are remodeled. AC was adequate. Windows slide open to air out the room and there’s double pane windows to block out street noise. Front desk staff were friendly and attentive. Price is reasonable compared to other hotels with fewer amenities. The room was hot when I arrived, but it cooled off by the evening. The cleaning staff were thorough. The breakfast was adequate, with assorted fruit, cereals, juices, and pancake maker. The one qualm I have is that the front desk staff hung up on me when I called to ask for a checkout extension, which they admittedly granted an extra hour for. Super clean room and nice bathroom. The room is nicely decorated and classy. The staff went out of there way to help you, from keeping the luggage to providing recommendations of places to visit around the area. Royal palace westwood hotel would be a good choice among budget hotels. The room is big enough for us to pack three luggages together. Maid service is nice and kept our room clean and tidy. The breakfast provided is fair enough as it is a budget hotel. The location is perfect, it is close to several supermarkets including Target, and also some affordable restaurants. Overall I am satisfied with this hotel and definitely recommend for budget hotels. Great location and safe neighbourhood. Quiet area. Welcoming staff and knowledgeable. Incredible value for money. You can also park your car free. Loved my stay. I dont usually take the time to write reviews like this, but the staff was great, room was clean and large. It had everything for also a great price. The hotel is very conveniently located to access UCLA. There are plenty of restaurants around the hotel. The room was small but clean. The breakfast includes pancakes :-). The receptionist when I checked in was very friendly and helpful. Parking slots are tight but what else can you expect from the location. It was what I expected - a no frills, reasonably priced, conveniently located to UCLA hotel. I was extremely pleased that it included free parking, free wi-fi, and a simple breakfast. The no-frills but, with some added benefits, really suited the needs of my daughter and my self to tour UCLA as a potential future school.